New research has put a spotlight on caffeine consumption among young girls, revealing damaging developmental effects. While the amount of sugar contained within soft drinks is of concern, new research reveals that the caffeine present in these soft drinks can also be harmful. 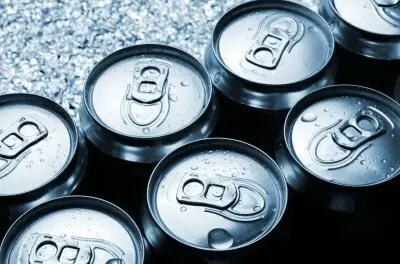 Children at younger ages are consuming too much caffeine, and a recent study has reported on the risk between increased consumption of caffeinated soft drinks and early menarche (onset of first period). The study revealed that girls who consumed higher amounts of caffeinated soft drinks had an increased risk of early menarche. This association was seen for caffeinated soft drinks, however, not for non-caffeinated soft drinks. While the same effects were not seen with sucrose or fructose, the researchers did report a positive association between consumption of aspartame and early menarche. This positive association found between consumption of both caffeinated and artificially sweetened soft drinks with risk of early menarche is concerning. Early menarche is a health concern as it has been shown to increase the risk of breast cancer and type 2 diabetes. This study demonstrates that soft drink consumption is not only a problem associated with weight gain, but that too much caffeine can have other negative health effects. Lim JS, Lee HS, Kim EY, Yi KH, Hwang JS.“Early menarche increases the risk of Type 2 diabetes in young and middle-aged Korean women.” Diabet Med. 2015 Apr;32(4):521-5. doi: 10.1111/dme.12653. Epub 2014 Dec 30. Canadian Cancer Society “Risk Factors for Breast Cancer” Information Sheet. Available from: http://www.cancer.ca/en/cancer-information/cancer-type/breast/risks/?region=bc Last Accessed: July 23, 2015.